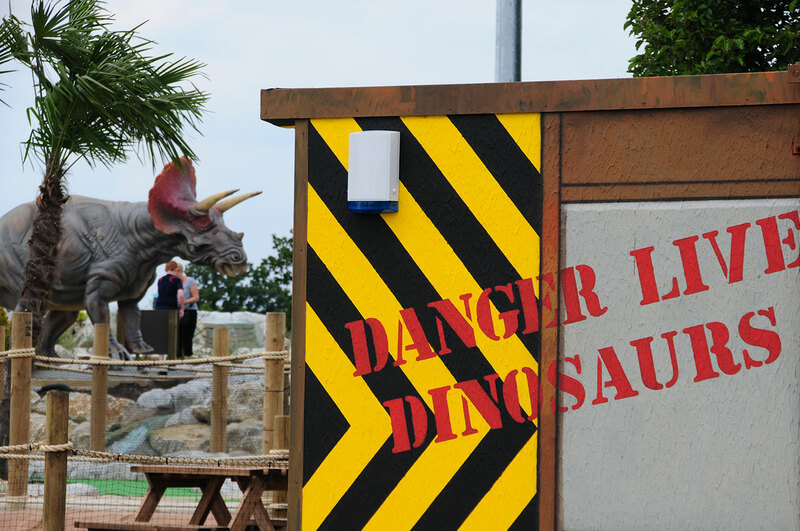 Navigate your golf ball safely around gushing ravines and hungry looking dinosaurs. 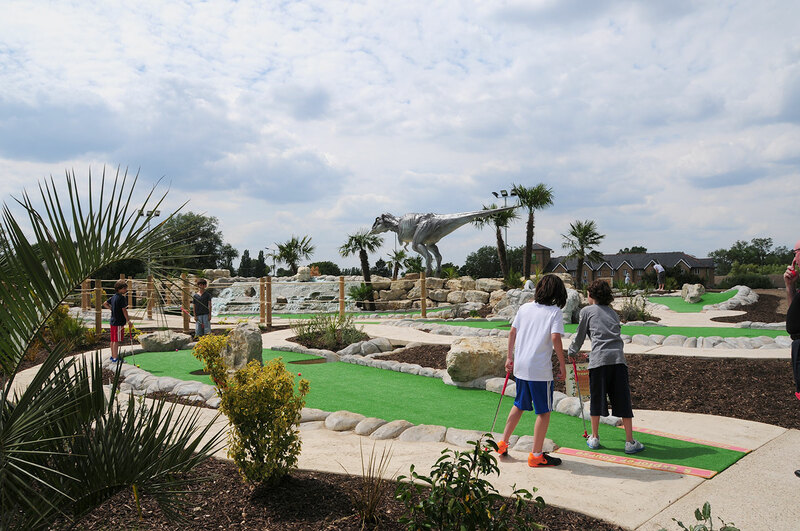 The Dinosaur Safari golf course contains 18 holes of thrilling adventure for friends and family, the golf course offers competitive, social fun for anyone – whether you’re 3 of 103. There are 9 mighty resident dinosaurs including a Megalosaurus, an Ankylosaurus, an Iguadaon and a colossal 100ft Dipodocus who looms over the A1. You don’t have to be a golf pro, nor do you need to have experience in exploring the jungle. You just need a competitive spirit and a love of fun. In fact, anyone can complete our course! Navigate around our giant rocks and cascading waters, hack through the lush vegetation and palm trees whilst holding your nerver on those putts. There are island greens, flowing streams and lagoons, and the course is also floodlist should your deciding putt be a late one! 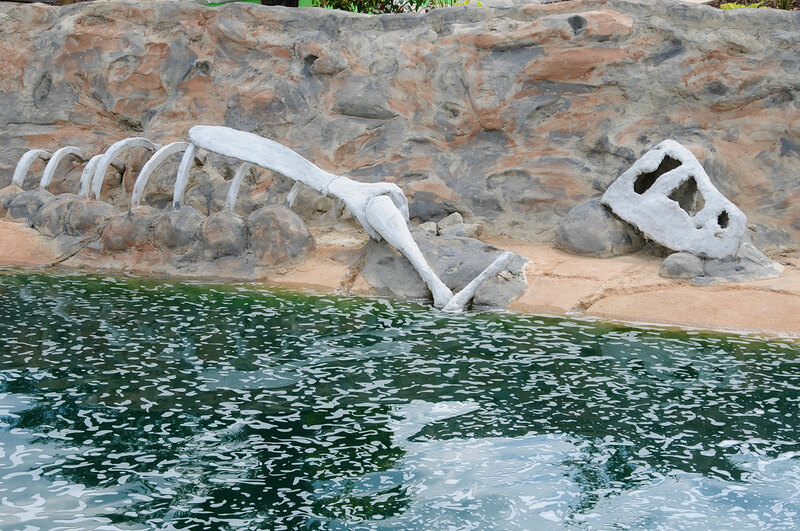 A day spent at Dinosaur Safari golf course avoiding carnivores offers thrills for adult parties too. We can offer groups a fantastic experience for larger gatherings – from intrepid explorers on a hen/stag adventure – to teams of office workers looking for teambuilding expeditions away from the desk. We also offer great children’s party packages!